Sunday 8:00 a.m. - 10:00 a.m.
Our business offers dance and fitness classes for youth and adults in a variety of levels in 2 dance studio rooms throughout the week...morning, evening, and weekend. We maintain a fun, friendly, and professional atmosphere. 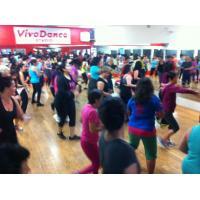 Many of our instructors are extensively trained dancers. With such great instructors we are able to provide a program designed for beginning students to the advanced professional level for all ages. 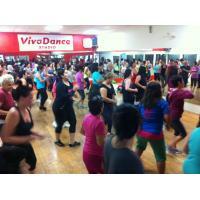 our current VivaDance Studio Class Schedule.